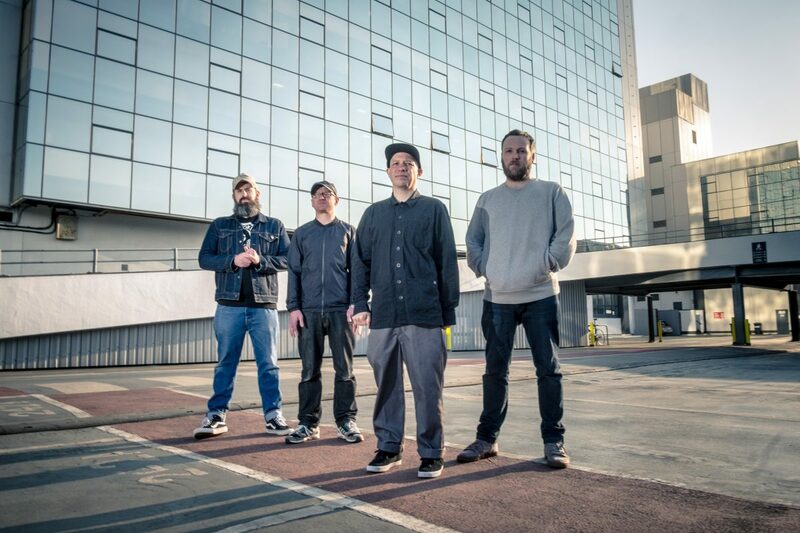 With Mogwai’s new album set for release Getintothis’ Rick Leach caught up with their multi-instrumentalist Barry Burns for a chat. Sometimes time goes by so quickly. Twenty years go by- two decades. That’s how long Mogwai have been with us. From their first album, Mogwai Young Team, back in 1997, to their forthcoming record, twenty years have gone by. But Mogwai have crammed a whole lot into those twenty years. Eight studio albums, five soundtracks, two live albums, innumerable singles alongside what seems like almost constant live shows right across the globe. Not only are they prolific, but they don’t let the grass grow under their feet. Mogwai never seem to stop. James Brown may have been introduced on stage as ‘the hardest working man in showbusiness’ but Mogwai must surely qualify for the hardest working band in showbusiness. 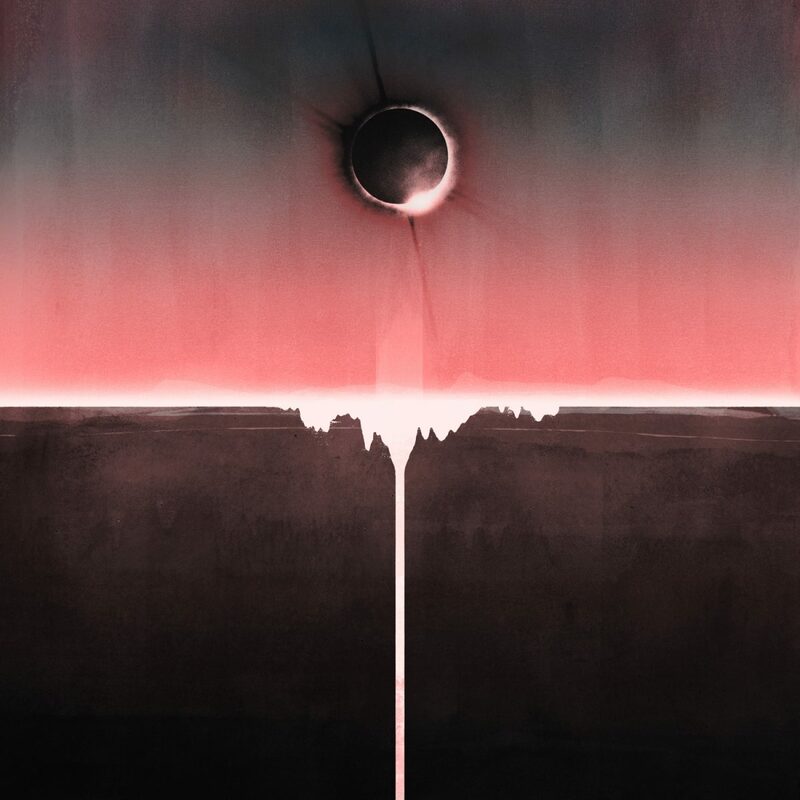 And now in 2017, they are back with a brand-new studio album, Every Country’s Sun, straight on the back of 2016’s Atomic soundtrack and a long string of live dates in support of that record. They’re not hanging around. There’s always seems to be something interesting about Mogwai as well. Not only have they consistently come up with fascinating and challenging music in those twenty years, including 2001’s magnificent Rock Action album and the sound track to Zidane: A 21st Century Portrait, but they’ve done in it their own way. Unafraid of nailing their colours to the mast, whether in support of a yes vote in the Scottish referendum, the remain vote in respect of Brexit or the George Square Thatcher Death Party track, Mogwai are that rare thing in the post-rock world; a band that will speak their mind. Every Country’s Sun is a revelation though. It’s a distillation of everything that makes Mogwai great and then some. They’ve reunited with acclaimed US producer Dave Fridman (Mercury Rev,The Flaming Lips) for the first time since Rock Action and have forged a record which seemingly reaches impossible heights. It’s the essence of Mogwai, captured in 56 minutes that flies by all too quickly. There’s monolithic slabs of pure noise of course and gentle, almost imperceptible twinkling synths, like faint stars in far-off galaxies. But aside of all these trademarks, there’s moments of pure art-pop, such as Party in the Dark, which could easily be the best song that Flaming Lips or New Order wished they had written. Before the cataclysmic ending to the album; three tracks one after another ending with the staggeringly powerful title track, songs that simply explode and have to be heard to be believed, you’ve got 1000 Foot Face which has such a tender pysch feeling unmatched since the early days of Spiritualized. With Every Country’s Sun due for release of September 1 we sat down for a chat with Mogwai’s multi-instrumentalist, Barry Burns to discuss all things Mogwai related and more. 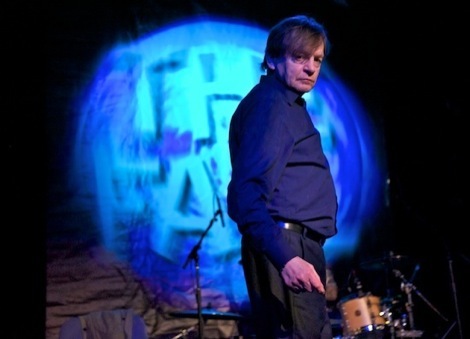 It has to be said that for a band that makes very serious music and are rightly very serious about what they do, Barry Burns is both a very serious chap and a very funny one as well. We spent a lot of our chat laughing and he seems to have an ability to see the humour in life, which is always a good sign for anyone who makes serious art. We started off, quite naturally, with the new album. Getintothis: The new album sounds very different to me. You recorded it the US towards the end of last year with Dave Fridman? Getintothis: It’s about ten months ago and I guess you were doing it at the time of the US election and post-Brexit and all that. Is that reflected in the album and what you were doing? Getintothis: So it was kind of like shut the world off, we want to crack on with this! Getintothis: Was it odd therefore when the result of the election came out? Getintothis: The Gods were angry? Getintothis: The last three tracks on the album seem very defiant and more direct in a way and sound a lot more “rock” if that makes sense. Was that planned? Getintothis: It build beautifully to that point at the end where it concludes in a big bang. Did it work naturally to that? Getintothis: I wouldn’t put it like that! But it is one of those rare albums that when I’m listening to it, I find myself thinking “oh, just one more track, it’s finishing too early” and “I can’t wait to listen to it again.” Another couple of tracks would have done it for me, you know what I mean? BB: “Well, that’s an argument we always have in the band. Two or three of us like short albums and one or two of us like long albums so the shorter albums always win out. It comes from the second album when we were with Chemikal Underground when we had quite a short album set up for that one and they then convinced us to put all the songs on it and we thought “ah that’s too long” so we’ve always been too wary of making the albums too long. Getintothis: Did you have many of the songs ready in advance? Getintothis: You’re quite adept at that now? Get in quick and hit and run with it? Getintothis: You played the album in full at Primavera didn’t you? Getintothis: It was the first time you played the songs in a live context. Were you a bit nervous? Getintothis: So you had a sense of relief when it was done? Getintothis: And you played the songs in the same sequence as on the album? Getintothis: Everyone would have heard those songs for the very first time then? In some ways it was like doing a preview of it but instead of playing it in front of a small and select audience in a tiny theatre you decided to do it at a huge festival! Getintothis: You’re doing a massive tour for the album. Are you looking forward to taking it out there? Getintothis: I was looking at your itinerary and its bang, bang, bang non-stop for three months with hardly a day off. Does it seem to stretch out in front of you and do you find as you get older you have to approach it all in a different way? BB: “Well, we did decide a while ago that we were going to rein it in a bit but it gets ahead of you and we end up saying yes to all these things. I mean we’d started doing soundtracks more so we thought that it would allow us to spend more time at home as we’ve all got kids now but it’s kind of like a piledriver-just do another show and another show and another show! So it’s not worked it like we thought it would! Getintothis: With the presents under the tree? Getintothis: I’ve heard of younger bands who are keeping fit backstage before gigs and during tours- doing exercises, eating fruit and drinking water. It’s not very rock and roll is it? Getintothis: But Mogwai do a lot for young bands and are very supportive – I’m thinking of Forest Swords and Mugstar in Liverpool for example- do you think it’s important for younger artists to have a mentor so to speak? Someone who’s been around? BB: “Yeah. I think that main thing that we’ve said to bands that we’ve worked with or bands that we know-especially younger bands- that if you don’t go on tour, if you make a record and get someone to put it out and then don’t go out and tour it, then nothing’s going to happen. There’s no magic formula. You have to work really hard at it all the time. And especially at the start. And a lot of them don’t listen, but the ones that do, the one that do listen, then those are the ones that succeed. Getintothis: There has to be a sort of work ethic? Getintothis: The old ten-thousand hours thing? Getintothis: Do you get a chance to listen to any other music? What do you recommend at the moment? BB: “I’ve not really had much of a chance to listen to anything else. All we’ve been doing is listening to our own music over and over again to make sure that it sounds right! So, I’ve not been listening to anything else-not deliberately not listening, it’s just that I haven’t had time! Getintothis: Mogwai have this “post-rock” label stuck to you and I know people like labels, and people say Mogwai are this “loudquietloud” thing but always struck me more as a band who like a laugh-more of a “serious fun serious” band you know because you make serious music yet in every photograph you seem to be laughing! Getintothis: Life is too short otherwise? BB: “When we’re doing the music, we’re not sitting stroking our chins, we’re also having a good laugh- but when we’re playing it live we really concentrate very hard and we take it very seriously indeed. We’re not making Britpop; it’s not Echobelly! Getintothis: And you’ve been together so long you’ve got that friendship, you know what makes you laugh and what makes you happy? Getintothis: Finally, as we’re talking about humour, do you have a favourite joke you can tell us? BB: “Well, I do have one, but it’s too rude! I made it up but…no, it’s too rude! You know what I love jokes, I love listening to jokes but I can never remember them! I watch a lot of comedy but someone asks me that, well, it feels like I’ve been asked the hardest question in the world! What a great question!